The incident happened at around 2.15pm when a protester jumped in front of the vehicle and was brought down by a Secret Service officer. 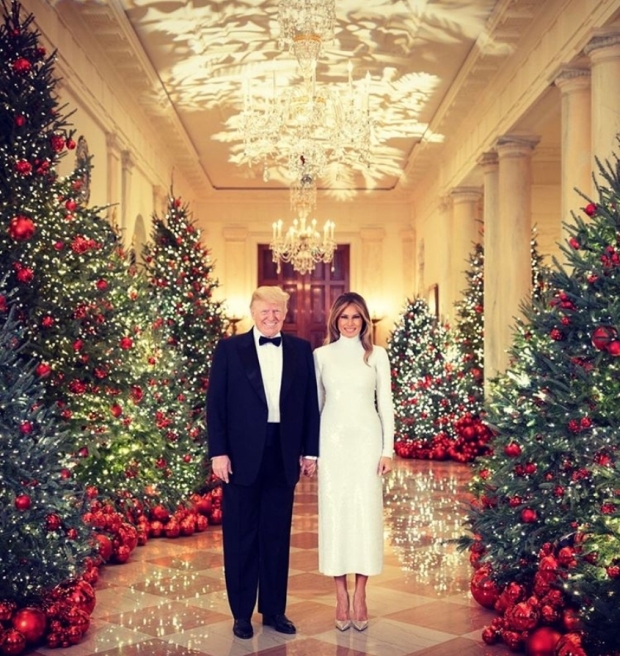 The magazine’s piece, which ran without a byline, is headlined, “What’s Up With This Year’s Surreal White House Christmas Portrait?” It accuses “FLOTUS and POTUS of looking almost like cardboard cutout versions of themselves” and declared they shouldn’t be smiling amid negative news that is currently in the headlines. 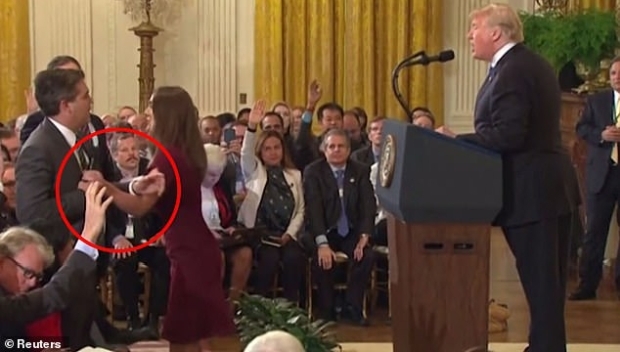 Following a recent court order, the White House must restore the press credentials for CNN reporter Jim Acosta. 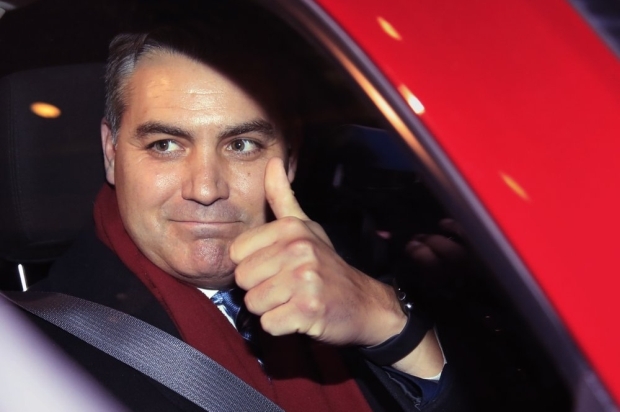 While CNN leadership and Acosta praised the order, some of his colleagues are reportedly not so pleased with his return. This article contains details about the judge’s ruling that earlier reports didn’t reveal. Bottom line: it isn’t as bad for Trump as thought. 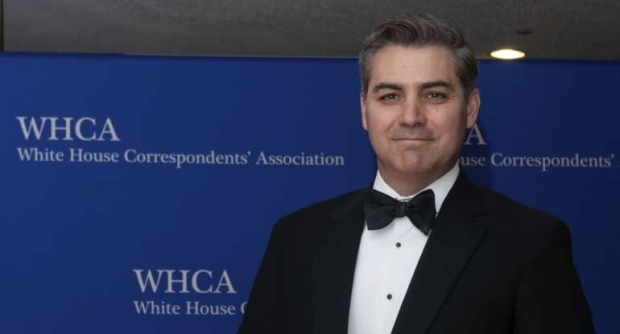 A Trump-appointed judge ruled in favor of CNN’s Jim Acosta on Friday, allowing the network’s star report to temporarily regain access to his White house press credential. Put him in the back row and never call on him again. This will go to the Supreme Court – what right does the Judiciary have to tell the Executive Branch how to run their press conferences? 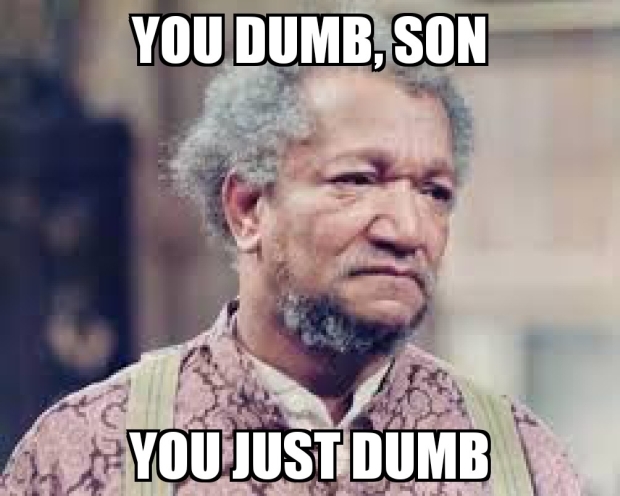 It’s not a free speech issue, it’s an issue of not having respect for the Office of the Presidency. 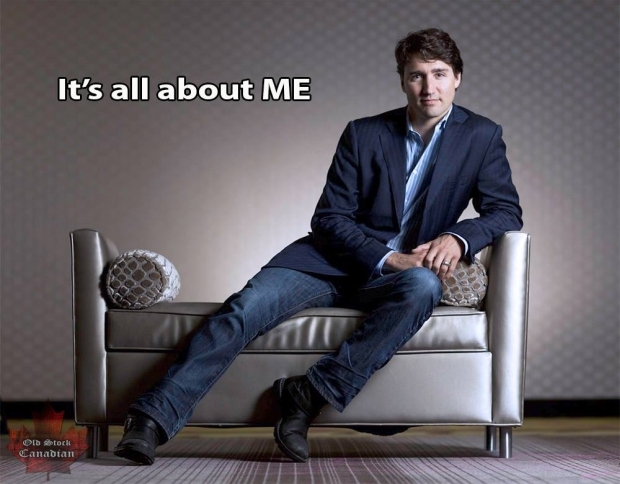 Can you imagine the outrage if a reporter had behaved like this to the Obama administration? 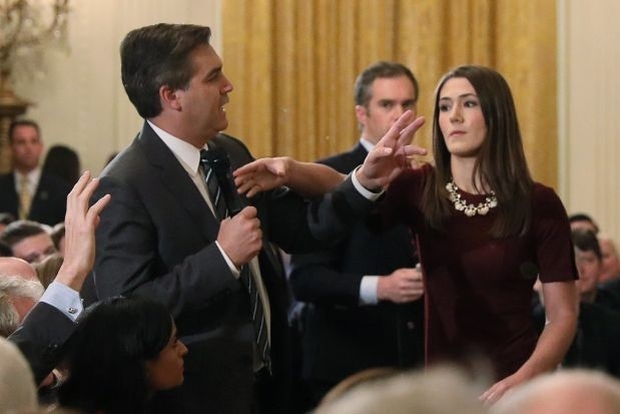 White House Press Secretary Sarah Sanders refused to back down Thursday from the Trump administration’s decision to rescind CNN correspondent Jim Acosta’s press pass, insisting incidental physical contact with a female intern during a heated presidential press conference was enough to get him banned. Press secretary Sarah Huckabee Sanders all but confirmed a report Wednesday that the White House is barring the FBI from interviewing Brett Kavanaugh and Christine Blasey Ford as part of its investigation into sexual assault allegations against the beleaguered Supreme Court nominee. 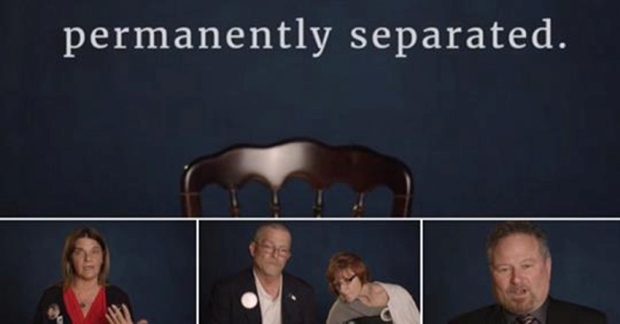 The White House took aim at critics of President Donald Trump’s immigration policy with a powerful video of families whose loved ones were killed by illegal immigrants. 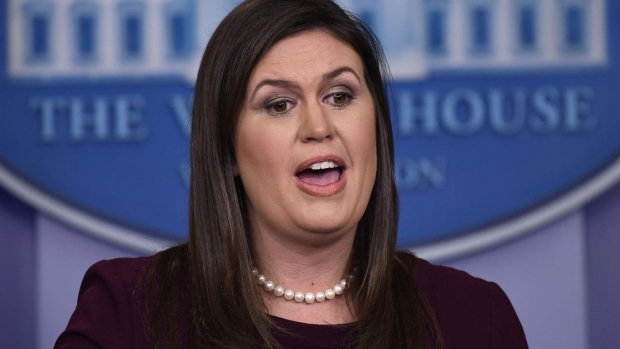 White House press secretary Sarah Sanders used her nationally televised press briefing Thursday to say some very important things about the round-the-clock unrelenting criticism of the president and his team coming from the Trump-hating mainstream media. 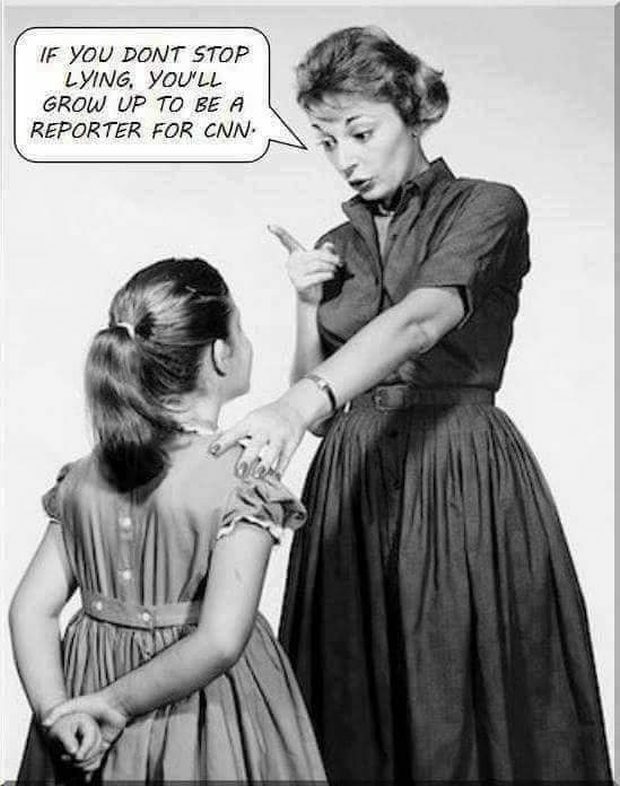 To hear the liberal media tell it, the horrible Trump administration, bent on destroying the First Amendment, has barred a legitimate journalist from covering the White House. The Trump White House continues to support a failed counter-extremism office in the Department of Homeland Security (DHS) that engages fringe Islamic activists while rejecting Muslim reformers. The promotion of “Countering Violent Extremism” (CVE) was initiated by the Obama administration as an approach to stopping radicalization from within vulnerable communities. 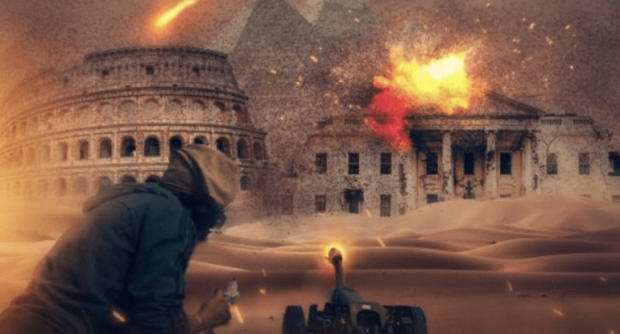 CVE resources mostly focused on Islamic radicalism, but did not officially recognize the Islamic component due to the former administration’s politically correct approach. They wanted an example to hold up without it doing anything effective.